Having said this, I do love Oscar Wilde AND British accents. 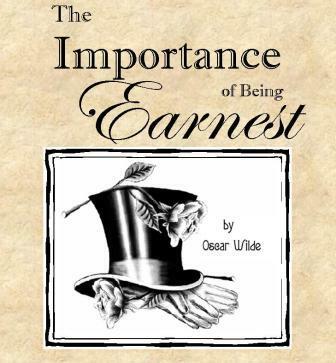 Watch at this link as actors from Wilde's THE IMPORTANCE OF BEING EARNEST take on Jersey Shore dialogue and survive. HA! Thanks to Galleycat for the tip. It's wonderful! Only problem: It's too short. We want more of this! I detest The Jersey Shore.....It's crass and too many other adjectives to list. I guess I'm sounding like a book loving snov, but so be it. I will go check the video out though and I love the shoe. I agree with the conditions set forth above as the only way one would watch The Jersey Shore. If I were on a desert island, and this were the only tv show on -- imagining that there was a tv there -- I still wouldn't watch it. I think some people watch it as comedy, the theater of the absurd. Ryan: I've never seen it, but I can imagine. Ugh. Check out the video, it's funny regardless. Kathy: The 'cast' of wierdos is laughing all the way to the bank. It's aggravating, but this is the state of TV Land now. Ugh! I don't know. Is this part of the "dumbing down of America"? Sometimes I think this is deliberate. Like does tv have to put out shows guaranteed to lower IQ points? Kathy: Whatever makes money and for whatever reason, people like to watch these shows and then consider themselves superior, I suppose. Ha! having seen it once (which was more than enough)I think The Jersey Shore is a disgrace and sterotypes Italian Americans in the worse way. That said I can't wait to send this video link to my DIL as she sometimes watches the show for laughs and will get a kick out of this!